Meet The Writing Witches – and learn their secret spells for magical stories! Our Writing Witches like nothing better than to visit schools and share their story-writing SPELLS with children in years 3, 4 or 5. Armed with a cauldron and a wand or two, the Writing Witches will come to your class and tell you all the secret ingredients you need to write truly magical stories. Expect potions for prose, chants for confidence and spells that are NOTHING to do with spelling (well, not much)! If that sounds like fun, why not mention it to your teacher or parents and ask them to look at this website. We have a special Schools page for them to look at to find out more. 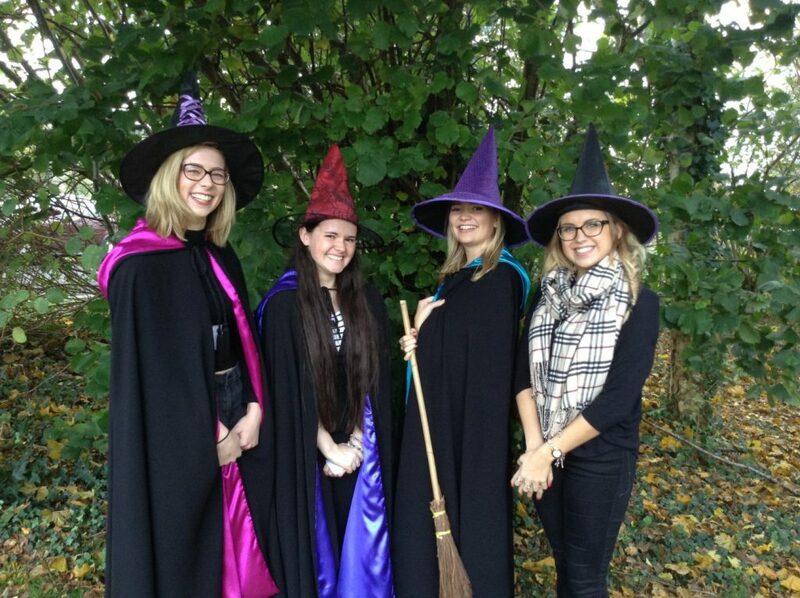 The Writing Witches off to Wool Primary School.